David Stinson is excited to be judging the 'Make Your Move' dance competition for the Red Cross Charity which will be held in May 2018 on London's Southbank near London Bridge. David will be giving out scholarships for I-PATH's associate courses. I-PATH Director, Rick Tjia, will be judging the international dance competition 'Expressions'. This is a very special annual event for I-PATH, as this is where Rick Tjia met his, now, business partner David Stinson many years ago. They became friends and decided to go into business together to make a positive contribution to the dance and performing arts world. 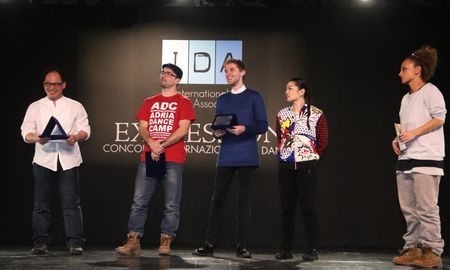 Rick provides scholarships for the I-PATH associates at this annual competition, held in Florence, Italy. Rick Tjia of International Performing Arts & Theatre, is also a Lead Talent Scout and Choreographer at Cirque du Soleil. He is based in Montreal, Canada, but came to the UK to lead two Classical Ballet Masterclasses - one was held at the International Arts Centre in Leicester and the other was held at Urdang Academy in London. The event was a huge success!